OLAYINKA OLADIRAN IS PRONOUNCED WINNER OF MTV BASE VJ SEARCH 2016! 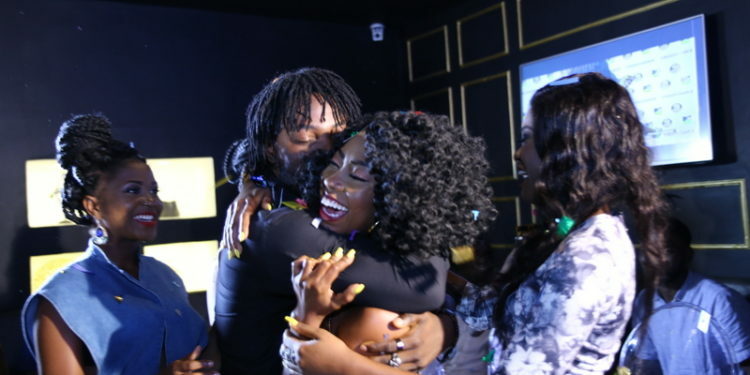 After a nail-biting two month nationwide search, 23 year old Olayinka Oladiran from Abeokuta was finally revealed as the winner of the 2016 MTV Base VJ Search – Nigeria on MTV Base (DStv channel 322) on Friday 23 September. Olayinka Oladiran beat fellow finalists Tomiwa Olorunfemi (23), Tochukwu Onwubiko (21) and 19 year-old twins, Grace and Glory Danbaki after competing with thousands of hopefuls in Lagos, Enugu and Abuja plus online and social media applicants. While all the competitors brought their “A-Games” to the finale, K’Ola outstripped the competition thanks to her bubbly personality, relaxed stage presence, and the ability to relate to the audience. The other finalists also went home with contracts and will be representing MTV Base as VJs on new shows coming to the channel. Olayinka Oladiran will now join Ehiz Okoeguale, popularly known as “Dadaboy Ehiz” onMTV Base’s in-house talent roster, where she will start off presenting ‘Word on the Street” and “Newsish” on MTV Base. BI, who also walked away with a contract worth 20million Naira, will also get the opportunity to travel around the world with the MTV Base team on a wide range of glittering entertainment events such as the MTV Africa Music Awards Johannesburg 2016, the MTV EMAs, BET Awards, BET Experience Africa, and many other events in theViacom portfolio.